Cancer is something we are all affected by in some way. Researchers on our campus have discovered a possible fight against prostate cancer. Furthermore, the findings challenged a 2013 study on the same topic. This researched addressed two problems: prostate cancer, and a controversial 2013 study. Who knows, maybe the next great breakthrough on this subject will have originated on our campus. Our sleep schedule impacts our life at work, home and elsewhere. Our renowned Sleep and Performance Research Center has studied sleep affects in order to solve a number of problems. For instance, one of our researchers testified in front of a Senate subcommittee in 2011 regarding a recent plane crash to discuss whether lack of sleep contributed to the crash. Researchers in the Criminal Justice program use innovative research methods to study the issues police officers are faced with. From whether to pull the trigger or not, to distracted driving, our researchers have been successful in using science and data to effect change in police department policies. Stephen James, a researcher here on this topic, has contracted with the Spokane Police Department to work with it on training obligations that came from a Department of Justice review. Sadly, tragedies can put research in a brighter spotlight. When Dave Goldberg – a Silicon Valley entrepreneur and CEO of SurveyMonkey – tragically died as a result of a treadmill accident, it put the research of Janessa Graves in the news. Graves, an Assistant Professor in the WSU College of Nursing in Spokane, published research in 2013 looking at the dangers of home exercise equipment (PDF). Hopefully her research will catch the attention of the public and reduce exercise equipment accidents. This is by no means an exhaustive list of the problem-solving research on our campus, but a glimpse of some of the problems the work on our campus is addressing. 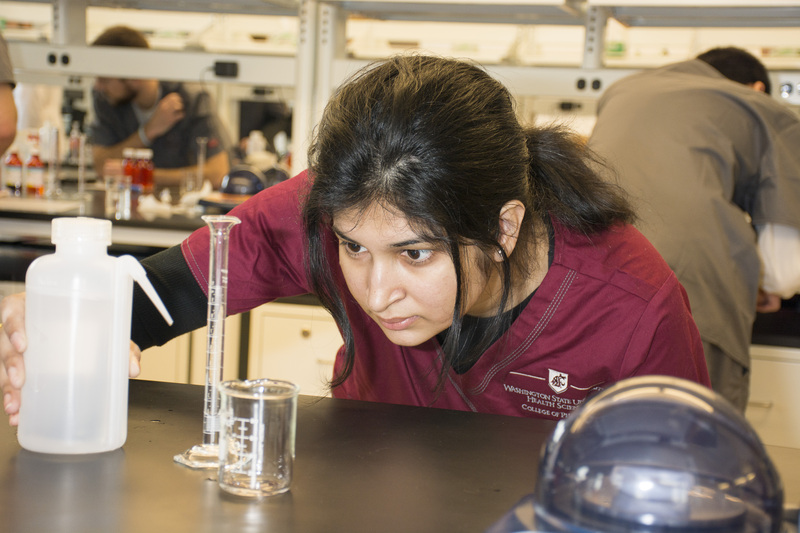 Our campus has received nearly $142 million in grant and contract funding since 2005, including $40 million from the National Institutes of Health. As our campus matures and grows, we hope to remain at the forefront of scientific discovery.